Which nutrient brand is best? 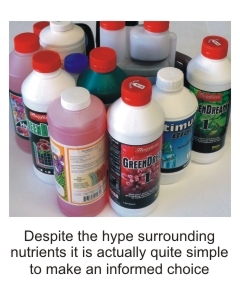 There is much commercial hype surrounding nutrient brands. Despite this hype, it is actually quite simple to make a calculated decision when choosing a brand. - 1, 2 or 3-part nutrients? When considered together, these factors allow growers to make a meaningful comparison of different brands. © Copyright 2019 Flairform LLC. All Rights Reserved.